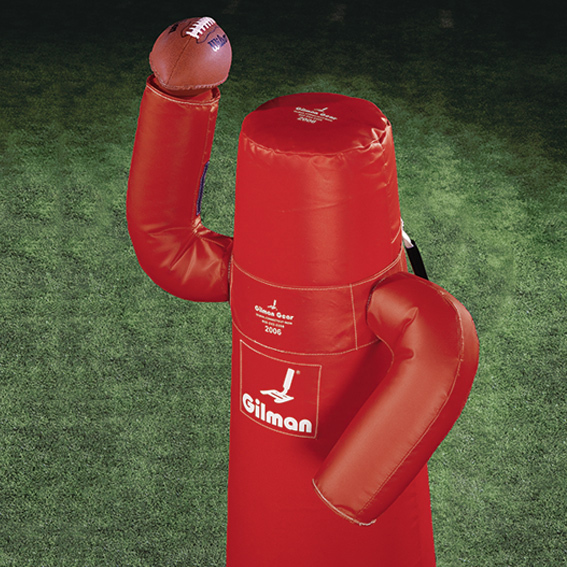 Half football sewn onto a swivel arm. Provides a visual target that can be violently hit without causing a loose ball. "The coaching point is to speed up the drill!"